Since 1910 The Lost Dogs’ Home has been a voice for animals without owners. We’ve been pioneers for fair animal laws and continue to work at the front line to reduce the number of lost, abandoned and stray cats and dogs. The Home relies on public support to provide our Australia-wide services and programs, these include; National Pet Register, The Lost Cats’ Home, shelter operations, adoptions and responsible pet ownership education. Our expertise also extends to veterinary and animal management services. All of our functions are governed by a quality management system – an industry first in Australia. 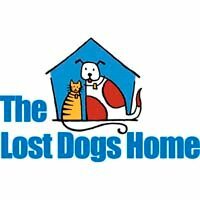 The Lost Dogs’ Home is one of the country’s largest animal welfare organisations, caring for more than 25,000 cats and dogs each year. We pride ourselves on employing qualified individuals who demonstrate a strong personal connection to animals, the community and the cause.